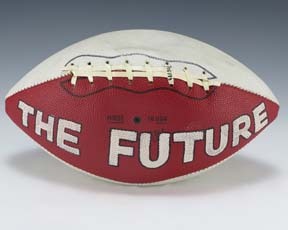 A football features red, white, and blue panels with white-painted text. It features the signature of the club chairman Dave Green. 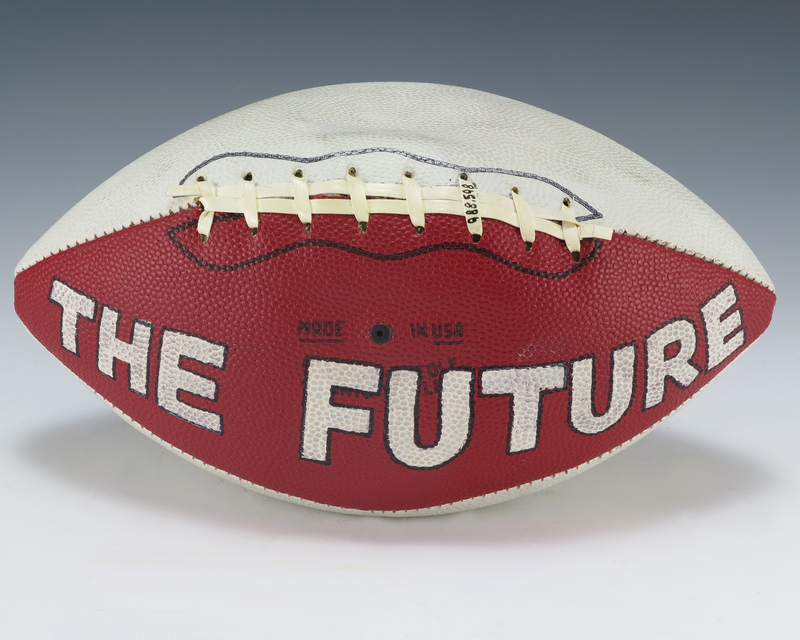 It was sent as a gift to Gerald R. Ford from the Oregon GOP Country Club.